Your smile is your first impression so at Central Texas Dental Care we strive to make your smile your best feature. We provide conservative refurbishing or a complete makeover, depending on the patient’s specific dental challenges. Everyone deserves a winning smile, and with advanced cosmetic dental technology, we can restore your confidence. Porcelain veneers provide a more beautiful smile more easily than with crowns or caps. Instead, a thin veneer facing is bonded to the natural tooth structure. This highly efficient dental procedure is an excellent alternative for many patients. 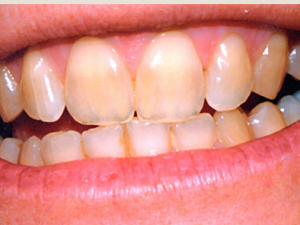 Porcelain veneers work wells for chipped, broken or discolored teeth to change the shape and color of the teeth. 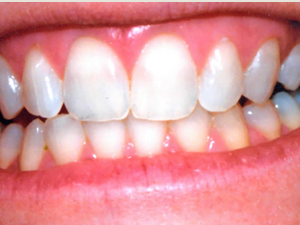 Veneers can also correct slight orthodontic problems in a shorter amount of time than conventional treatments. At Central Texas Dental Care, we want our patients to enjoy the beautiful smile they deserve in as short a time as possible. 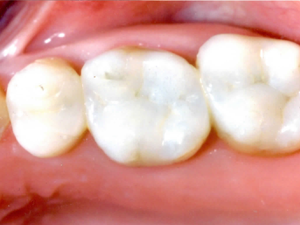 Many patients prefer tooth-colored fillings instead of silver fillings. Central Texas Dental Care offers inlays and onlays, which look extremely natural and are easier on the natural tooth than metal fillings. Central Texas Dental Care prefers the newer metal-free crowns to restore broken or cracked teeth. 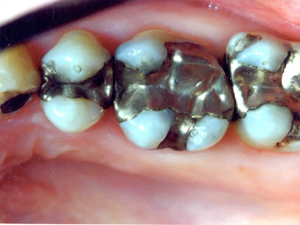 These are much more natural-looking and do not reveal a black lined near the gum like the older-style crowns. Drs. Cooper, Cooney and Sager are experts in periodontal dentistry so that healthier gums reduce tooth and bone loss. Nonsurgical gum care is essential to long-term dental health and to restoring smiles to their natural radiance. “WOW” whitening captures the natural beauty of teeth by removing stains, even those from tetracycline. The KöRWhitening Deep Bleaching™ System, developed by bleaching expert Dr. Rod Kurthy, is respected worldwide and considered to be an effective bleaching system. Patients appreciate that it is a comfortable, easy process that produces low to no sensitivity. Patients may continue to enjoy their coffee, tea or red wine and permanent results in white teeth for their lifetime. This treatment is entirely safe for teeth and gums and ideal for ages 14 to 90. At Central Texas Dental Care, we encourage patients who are interested in teeth whitening to opt for the KöR Extreme Deep Teeth Whiteningsystem because we believe it is absolutely the best system on the market for permanent teeth whitening. Let us restore your beautiful smile!